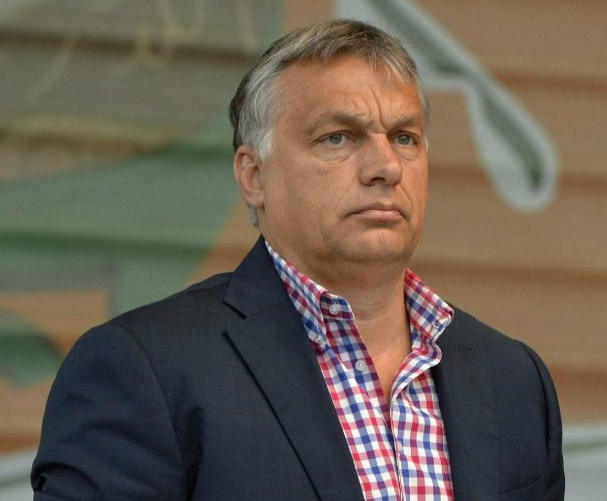 Prime Minister Viktor Orbán prepares to speak at Tusnádfürdő on July 24, 2016 (photo: MTI). Thank you for permitting me to be here among you again with the passing of another year. The experience of seeing you again is, in itself, valuable and sets one’s heart in motion. This, in itself, would be a sufficient reason and motive for the existence of the free university [the Tusványos Summer University and Student Camp], although the free university has for many years—for more than two decades—performed another function that truly manifests itself here only when the incumbent prime minister of Hungary speaks to you. That is to say, a situation has come into existence, a free-university space in which it is possible to speak about politics in a different way, in which it is possible to speak about difficult and complicated matters in a different way from that which politics, as a profession, forces [one to speak] the other 364 days of the year. Problems arise from this afterwards as well. Because European politics has already made steady use of the form of speaking about politics and major European affairs that maybe nobody other than the speaker understands, but which at least does not bring trouble down upon the heads of the speaker. The world of a free university is, however, different. If we don’t speak frankly here in a way that we, too, can understand about the dilemmas that torment us, which incidentally are not just our dilemmas, but which, as you will hear later, are dilemmas tormenting all of Europe, then the free university isn’t worth anything, then it’s not a free university, but a propaganda camp. We would not have previously thought this [to be possible], but it is now looking more and more like they have pushed Hungary out of the European mainstream and they have tried to interpret everything that we have done as not being an accepted part of European politics. Be it our constitution strengthening Christian foundations, be it our demographic policies, be it cross-border national unification—now, in retrospect, with the passing of a few years, these look more like advantages than disadvantages. Nobody can at this moment say for certain that over the coming years the European mainstream won’t proceed [along the path] onto which they tried to drive Hungary away from the European mainstream. This is how the black sheep become the flock, how the exception becomes the main direction. If I told an English, German or French young person that if you abide by the laws, respect your parents, finish your schooling normally and work diligently, you will surely get ahead, get farther and you will live better than your parents did, I am afraid that they would laugh at me. This is the promise of European life that has been shaken, which has been lost—and this will have serious consequences. Since we are members of the European Union, today I will speak about what the European Union must do differently in order for fear and uncertainty to disappear from the lives of Europeans. First of all, it must quit doing a few bad things. In the West they call one of these things denationalization, presenting in a positive light something which I think is a bad thing. In my opinion reducing national sovereignty in favor of [increased] European spheres of authority represents one of the greatest dangers in Europe today. The European Union has today become a regional player. At best, it is capable of influencing events that take place in its environment, though slowly we are seeing that [it is capable of] not even this this much, since the main player in the Ukrainian-Russian conflict is not the European Union, but the United States. We see that the European Union doesn’t play the main role in shaping events in the uncertain region of Syria, the Middle East and Iraq, but the United States and the Russians. Thus we must state that today the European Union is deceiving itself when it views itself as one of the global players in the global political space. We must recognize that today, if we even have the ability to influence world events outside our own territory, this is restricted to the region [immediately] surrounding us. Migration represents a threat, it increases terrorism, increases crime; migration on a mass scale changes the cultural profile of Europe and migration on a mass scale destroys national culture. I am not Donald Trump’s campaign manager, I never would have thought that the notion would occur to me that among the full-fledged possibilities he would be the best for Europe and Hungary. I never would have thought it, but it is nevertheless the case that I listened to this candidate and I must tell you that he made three proposals to stop terrorism. I could have hardly expressed better as a European that which Europe needs. He said that the world’s best secret service must be established in America, that this is the precondition to everything. I agree with this. [. . .] The second thing the straightforward [derék] American presidential candidate said was that the policy of exporting democracy must be stopped. I couldn’t have expressed this more precisely, because, in the end, why are a massive number of migrants coming to Europe across the Mediterranean Sea at this moment? Because the Europeans and later the Westerners [Western powers] acting under the auspices of the UN, they successfully—we successfully—managed to crush the undemocratic, though from the standpoint of border defense extremely stable, Libyan system without making sure that a new government capable of providing stability came into being. We did the same thing in Syria, we did the same thing in Iraq too. The notion is true, therefore, that if we continue to place democracy-building in the forefront instead of stability in a region in which the success of this is extremely doubtful, then we aren’t going to build democracy, but cause instability. This [the failure of democracy building] is a big lesson with regard to the current Turkish events as well, which I naturally do not want to qualify, though if they ask me what our greatest expectation is, what Hungary’s greatest expectation is toward Turkey, then we will put stability in the first place. Of course the quality of political life there is not indifferent for us. Neither are human rights indifferent for us, especially because it is a question of a country that formally still wants to join the European Union, where these are fundamental, expected preconditions, though all in all, from the perspective of current life, it is more important that several tens of millions of people not tumble down upon the European Union with no screening, control or impediment of any kind. This [data showing the projected population increases in Egypt, Uganda, Ethiopia and Nigeria by the year 2050] clearly show that the truly great pressure is going to arrive to the continent [of Europe] from Africa. Today we are talking about Syria, today we are talking about Libya, but really we must prepare for population pressure from the region behind Libya and the magnitude of this is going to be much greater than that which we have experienced so far. This warns us that we must steel our wills. Border defense, especially when fences must be built and people must be stopped there, is a difficult thing to interpret aesthetically, but believe me, we cannot defend borders and therefore ourselves with flowers and stuffed animals. We must face this thing. At the same time, it is very important, and for us also very important from the perspective of the image that the outside world formulates of us, that we make it clear that we are not heartless people, thus we are able to make a precise distinction between migrants and migration. In most cases the figure of the migrant—of course not including the terrorists— is a victim, whom the unfortunate situation, the increasingly difficult possibilities for subsistence at home, bad government, our bad, enticing migration policy and the human smugglers have made into victims. We understand this, we know this precisely. However, migration, as I said, is killing us. And migration is embodied in the person of the migrant, thus no matter how much we empathize with them and see them as victims, we must stop them at our fence and make it clear that whomever enters illegally must, according to the laws, be put in prison or expelled from Hungary. Esteemed ladies and gentlemen, esteemed free university, there is no friendlier form of defense. Of course [it must be] in a human, lawful and transparent manner, but we must resolutely do this. After all this I must state, summarizing what I have said so far, that Europe has lost its global role, has become as a regional player, is not capable of defending its own citizens, is not capable of defending its own external borders and is not capable of keeping the community together, since the United Kingdom has just left it. What more is needed for us to say that the European political leadership has failed. It cannot achieve a single one of its objectives. Thus when we convene in Bratislava in September, we don’t need beauty spots, sweeping under the carpet and whitewashing, but we must clearly state that we must come together and talk about the future of Europe because Europe’s present political leadership has failed. We must make it clear that our problem isn’t in Mecca, but in Brussels; for us, the Brussels bureaucrats represent the obstacle, not Islam. Today “old Europe” means Europe that is incapable of change. They [old Europe] are the founding members of the European Union, they are they are the ones who introduced the eurozone and are very visibly stagnating. And there is another Europe, those whom were admitted to the European Union later, whom are said to be the “new Europe.” This, on the other hand, is viable, full of energy, capable of renewal and is looking for answers to the new challenges and thus forms an important part of our continent. This is why I think that perhaps the differentiation between the old and the new Europe is much less offensive for us now than it was previously. Today in Poland there is no economic crisis. In Poland, Czech Republic, Slovakia and Hungary—I don’t dare comment on the case of Romania—young people think that the old European dream is still valid: if they abide by the laws, if they respect their parents, if they listen to them and their advice regarding the future, and if they work diligently, then a Polish, a Czech, a Slovak and a Hungarian young person will certainly live better and get farther ahead than his [or her] parents. This is the European dream, this is still valid in the new Europe, in Central Europe. Orbán also expressed support for the creation of a common Visegrád Group army, though rejected the notion of expanding the number of members in the alliance composed of Poland, Czech Republic, Slovakia and Hungary. The prime minister said that the prospective common European and Visegrád Group armies were needed to defend Europe in the “east and south” and would be closely connected to defense of the continent against terrorism and migration (source in Hungarian). ¹ The motto of the 27th Tusványos Summer University and Student Camp: “We were, are and will be at home here in Europe” (Itthon voltunk, vagyunk, leszünk Európában).